I’ve shared my roasted veggies before, but I’ve never shared them like this. I began making these veggies about fifteen years ago when I was a vegetarian and I still enjoy these veggies as a main dish, served on a bed couscous or sandwiched between crunchy Cuban bread with a shmear of goat cheese. Although there are so many variations to how you can do this dish, I stick with the simple squash varieties that my family likes. For additional greens, toss in some asparagus tips or add some sliced fennel for a more complex, rich fall flavor. No matter what you toss in, these roasted veggies are a wonderful side dish for Thanksgiving and the leftovers make the best veggie omelets. In a large bowl, whisk the lemon juice, olive, garlic, thyme, salt, pepper and red pepper flakes. Cut the eggplant lengthwise twice to quarter the eggplant. Then, slice the eggplant into 2-inch chunks. Toss into bowl with lemon juice marinade. Slice the zucchini and yellow squash into 1-inch slices and toss in bowl. Add chopped onions and mushrooms to bowl. (Depending on the size of the mushrooms, cut into halves or leave whole.) Toss all veggies until well covered in lemon juice marinade. Prepare a baking sheet with cooking spray. Arrange veggies evenly on baking sheet. Bake for about 20-30 minutes. For more charred veggies, bake longer or broil veggies for one minute. 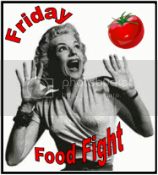 Thanks for joining our weekly Friday Food Fight! Can’t wait to see what everyone is flinging this week! 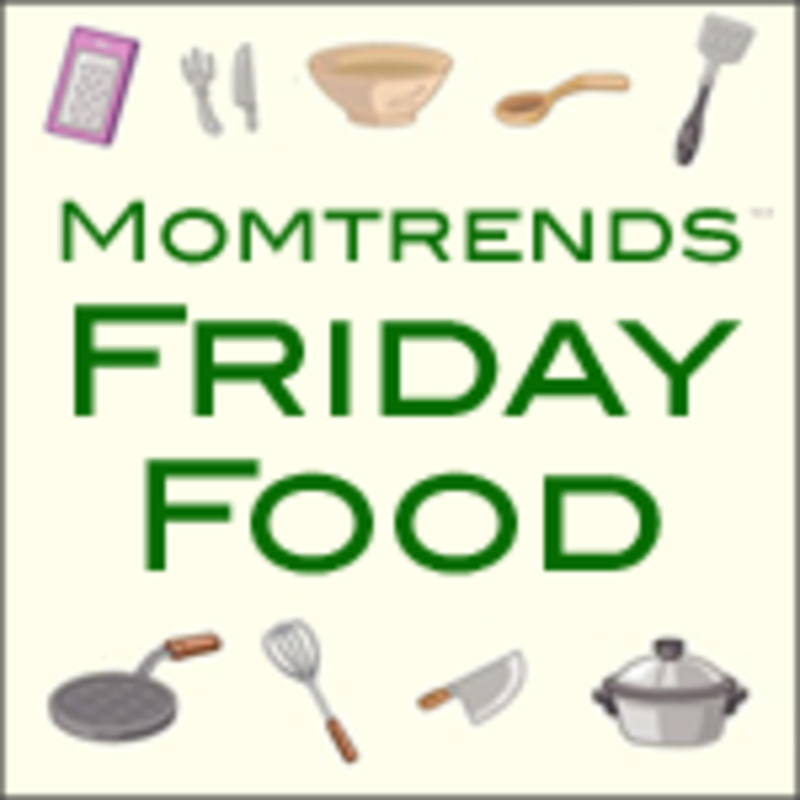 Remember to visit our Thanksgiving food blog hop too! This entry was posted in blog hop, food, Friday Food Fight, Life, linky party, recipe, Thankful for Good Food and tagged eggplant, family, food, Life, miscellaneous, mushroom, musings, random, recipe, Run DMT, side dish, squash, Thanksgiving, thoughts, vegan, vegetables, vegetarian. I love roasted vegetables, however I have never tried it with lemon juice. I will have to give it a try. Why did you switch from vegetarian? Thanks for the recipe. LOL, I agree. I don’t judge people by what they eat. I was just being nosey. No problem! Ask away! I’m an open book. I also make roasted vegetables quite frequently. I love your idea of adding fennel and now I will use my leftovers for a sandwich! It’s the best way to eat those yummy leftovers! Thanks for stopping by! Yum! I love eggplant and mushrooms!! I usually roast them with very few added spices, but this sounds delicious lemon+thyme is a great combo! I love roasted veggies too. When I was doing NutriSystem a few years ago, I had roasted squash/zuchini/peppers/onions several times a week! They are my favorite and I still make them quite often. I roast veggies every Sunday before the start of the week! YUM! The lemon is a great idea. I’ve never thought of that. I bet they taste divine. They are seriously so good. I was thinking I might roast vegetables for Thanksgiving. I’ll have to toss in some eggplant too. Thanks for the idea and the party! I was thinking the same thing as Michelle… yes thanks for sharing your roasted veggies will be nice for Thanksgiving. Awesome! Let me know what you think of the veggies! Looks delish! Will definitely try this out! This is the best way to stay fit at the same time monitor my food intake! It’s a healthy year for me, say no more to fats! Awesome recipe! Try this ingredient as well, quinoa! Very filling, less carbs and high in protein!